Graduate with a budding music career already under your belt. While still in her first year of study, Demi Marriner began her rapid rise to success. She recorded and produced her debut EP at the university and it entered the iTunes Country Album chart at number one! And our industry contacts helped secure slots at major festivals, an opening gig at the Birmingham Symphony Hall for Rufus Wainwright, several BBC sessions and an extensive tour of Europe. Amazing student experiences lead to graduate success. Our fully-equipped media centre for visual media and broadcast houses our state-of-the-art recording studios, rehearsal rooms and music production labs. You can create music in networked recording studios, dubbing and editing rooms and practise in one of our practise spaces before that big performance. Use our hardware hacking screens and interactive platforms to perfect your sound. Together with our ground-breaking Dante Audio Networking system, you'll be able to compose, perform and record your work in a dynamic range of spaces that are suited to individual, small and large-group projects. Mike has been a professional musician for 30 years, touring and recording with internationally renowned bands such as Blur, Jamiroquai and Gorillaz, and also running countless shows at The Barbican Hall as their musical director. His unique first-hand experience of the business provides unparalleled learning opportunities for our music students. Join student band Polar Fields as they prep, rehearse and play a packed-out gig. Embrace diversity and celebrate original ideas. This course will help you to explore and enhance your creative voice, develop a range of practical skills, and build an industry-facing portfolio and network of contacts to enable you to launch your career. Develop skills in songwriting, performance, music production, visual media, live events and community music practice. You’ll have the opportunity to work with musicians, artists and music producers across our music degrees, and take part in our annual European Capital City Showcase in cities like Barcelona, Amsterdam and Prague. Work on live business briefs and graduate with a rich production portfolio and industry contacts, ready for a successful music career. Benefit from links with BBC Introducing (hosted on campus each year), EMI, and Gloucestershire-based Wychwood and 2000trees music festivals. Learn from lecturers with diverse industry experience including musical direction for Blur and Gorillaz, producer of music for Broken (2013) and 8 Minutes Idle (2012), producers for Sony and Universal and BAFTA award winners. 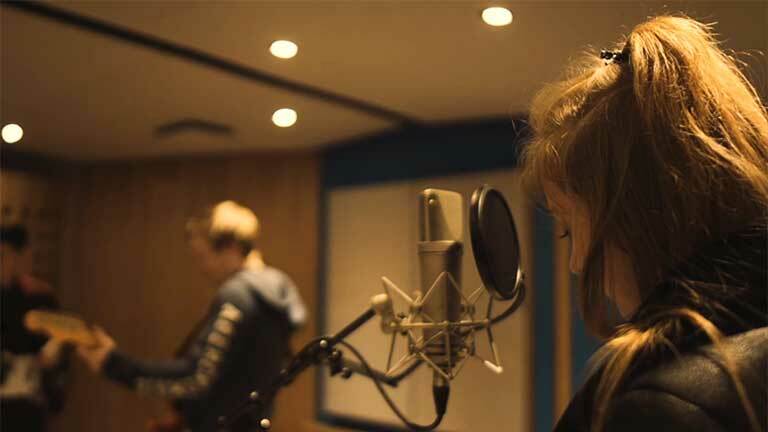 During your first year you’ll explore composition, performance and creative music production. With a market-focused approach you’ll write and record songs, develop audio-visual content and play gigs as part of a vibrant community of musicians. You’ll also examine music’s place in cultural, economic and political contexts. Performance continues as a focus in your second year, with regular live events, on and off campus. You’ll explore the potential of web and broadcast technologies as a live performance platform, as well as music for moving image. You’ll also develop expertise in business relevant to your musical area. This includes licensing and royalties, label management, live event management, marketing and global music opportunities. You’ll be able to choose from a range of optional modules to match your interests and career goals. Demonstrating your creative, commercial and academic expertise, you’ll create a product and live performance in your final year. You’ll also gain experience through a work placement, to inform your dissertation, relevant to your career plans. Recent destinations have included EMI, Universal Music, ITV, Warner Bros and the BBC. You’ll benefit from excellent facilities and support as part of our close-knit Media School. This includes industry-standard technologies and a digital suite. 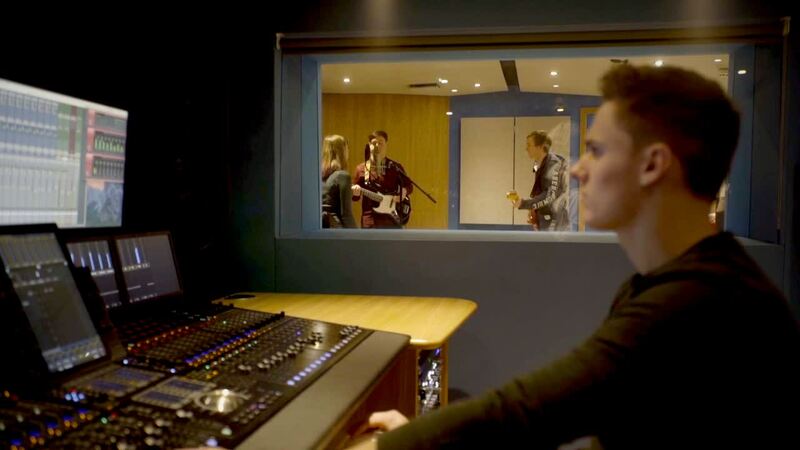 Using our ground-breaking Dante Audio Networking system, you’re able to compose, perform and record your work in a dynamic range of spaces that are suited to individual, small and large-group projects. Get Popular Music course updates and hear more about studying with us. Fill in the form below and we'll be in touch with Popular Music updates, upcoming events and everything you need to know about university life.